A transcript of manuscript Cod. 10784, written by Giovanni Battista Maffani da Perugia in 1629. 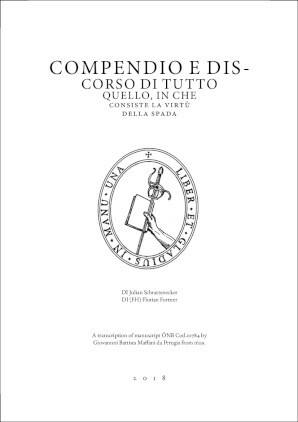 This text is a valuable source for italian rapier fencing, dealing with theoretical aspetcs of the fencing in meticulous detail.